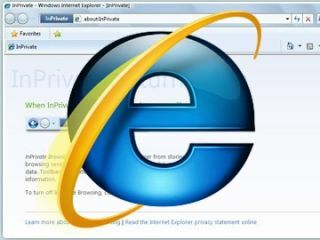 Microsoft has confessed that a flaw in Internet Explorer was "one of the vectors" used in the attack on Google, with an investigation by McAfee revealing some of the details. McAfee has been brought in by a number of companies attacked, and they insisted that there was nothing to substantiate the claims that Adobe's notorious PDF software could be responsible. "We have never seen attacks of this sophistication in the commercial space," said Dmitri Alperovitch, a Vice President of Research with McAfee. "We have previously only seen them in the government space." Microsoft confirmed that IE was partly at fault, rather worryingly suggesting that users could avoid any problem by using protected mode and the highest security settings. "The company has determined that Internet Explorer was one of the vectors used in targeted and sophisticated attacks against Google and other corporate networks," Microsoft said. CEO Steve Ballmer deflected a little attention when he was interviewed on CNBC. "We need to take all cyber attacks, not just this one, seriously," said Ballmer. "We have a whole team of people that responds in very real time to any report that it may have something to do with our software, which we don't know yet."